fanaddict: Maryland Terrapins have the coolest football helmets ever!! 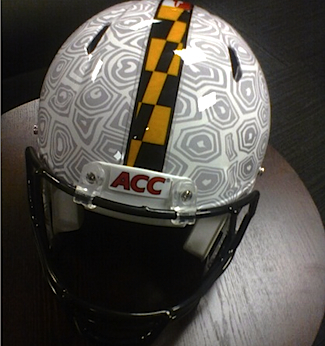 Maryland Terrapins have the coolest football helmets ever!! The Maryland Terrapins unveiled their new underarmour football uniforms today. The creative helmet is revolutionary and a tribute to an animal that epitomizes defense. Go Terps!